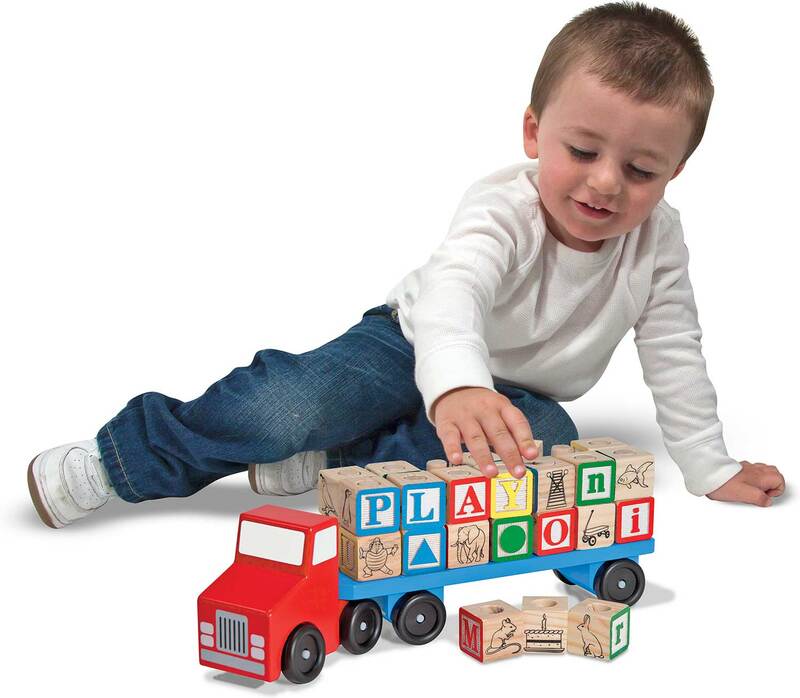 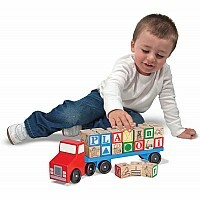 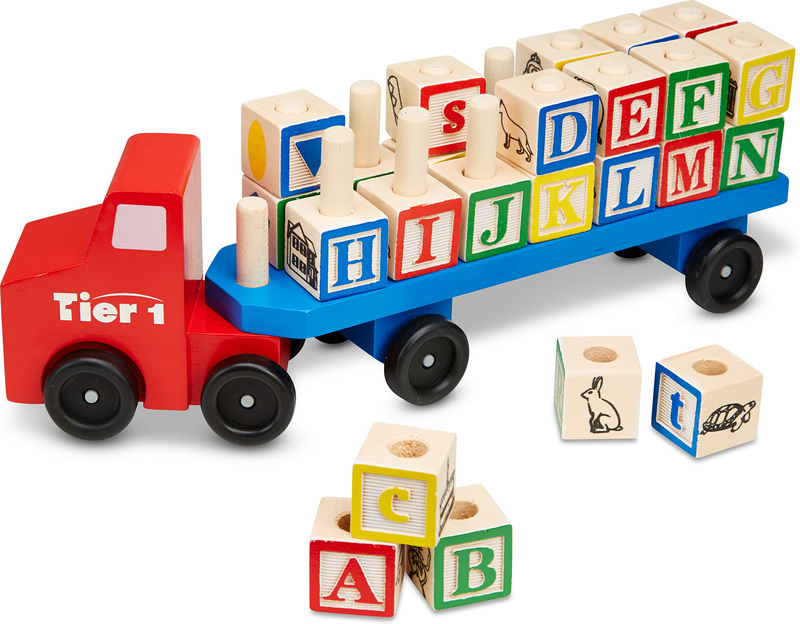 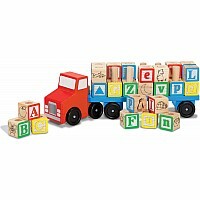 This wooden truck play set is rolling into town with a cargo of learning and fun! 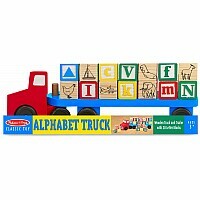 The trailer features wooden dowels to hold 28 drilled wooden blocks, with colorful letters, pictures, and shapes. Lift the blocks off for stacking, sorting, spelling, and storytelling fun ... Then load them up again when it's time to roll out! 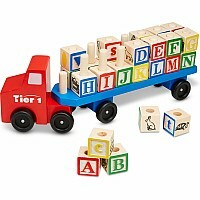 Measures approximately: 2.95 x 5.30 x 13.60 inches..